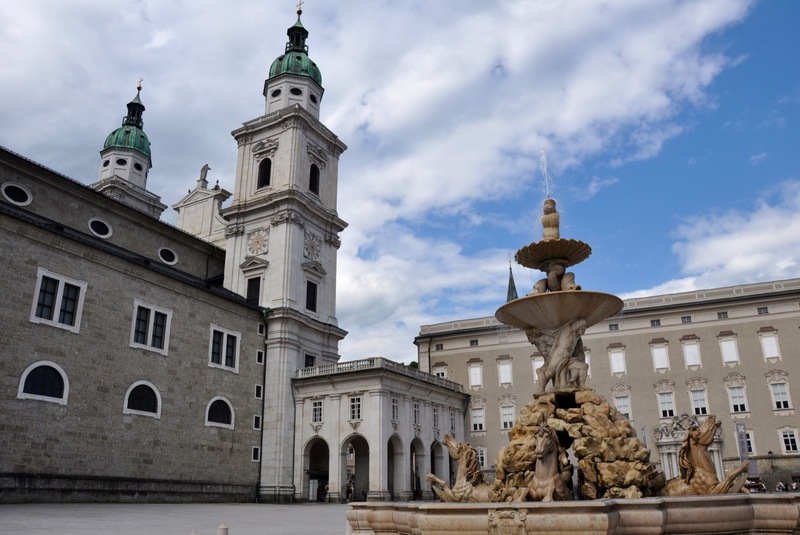 I was a small child when I first went to Salzburg and have very fond memories of this elegant Austrian city, though mostly of getting a soaking from the trick fountains at Schloss Hellbrunn on the outskirts of town. 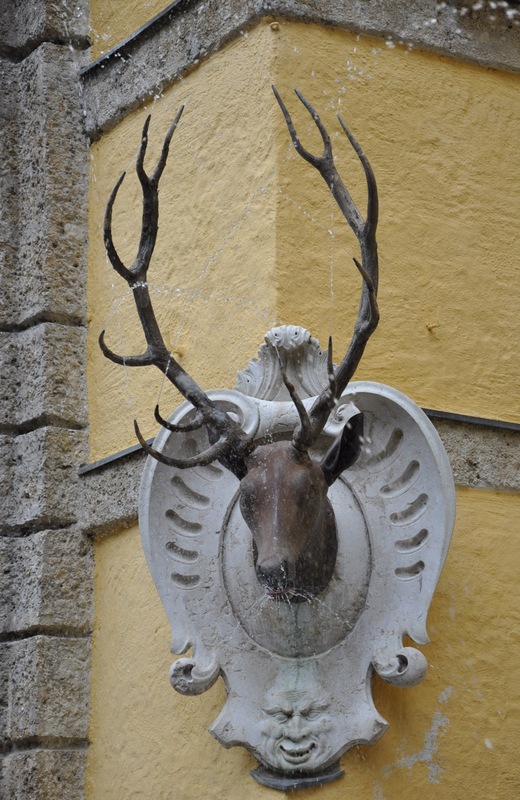 The trick fountains of Hellbrunn; this one still caught me out! 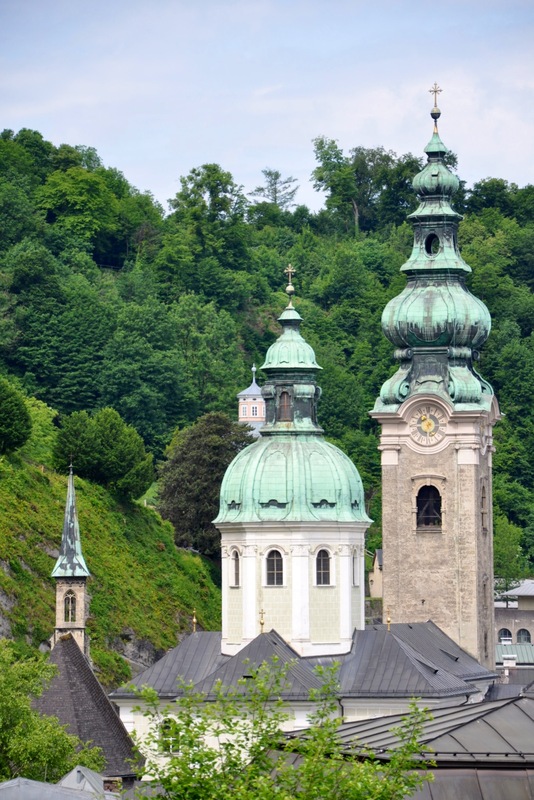 Since then, most Christmases I’ve had a virtual revisit courtesy of the film The Sound of Music, which was partially filmed on location in the city. 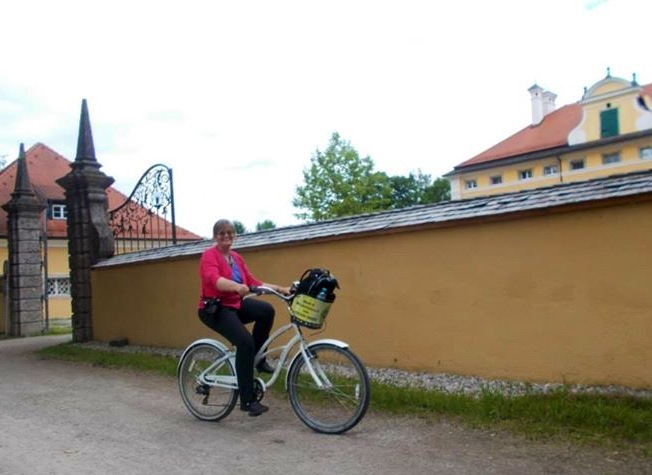 On a whistle-stop detour from Italy whilst working for Trainline Europe, I was fortunate enough to have just enough time to fit in Fräulein Maria’s Cycling Tour. Founded by Rupert Riedl back in 1999, his passion for both Salzburg and cycling was infectious and I was excited about joining the tour. He also signed off his emails “so long, farewell, auf wiedersehen, goodbye” which meant I couldn’t wait to meet him. Rupert was just as charming in real life and so was our guide Elise, a warm and friendly ex-pat Brit whose encouragement and enthusiasm helped to make this tour so thoroughly enjoyable from shaky start to racing finish. The bike, it has to be said, took a little getting used to; wider handlebars and a different style of gears to that which I’m used to had me wobbling around like a beginner and cornering in a panic. It didn’t take long before I’d got the hang of it, and with plenty of stops, it was a manageable and fun tour. I’m not super-fit (I’m not even fit) and was a little apprehensive about going uphill. Elise was quick to let us all know that she’d be walking part of the way up the steepest hill so we shouldn’t be embarrassed if we needed to do the same. 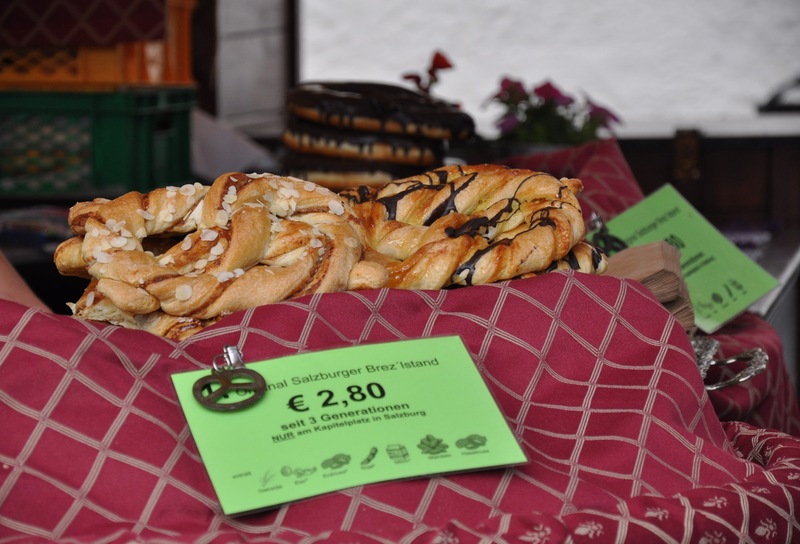 She was also very partial to pastry and so her suggestion we stop by the beautiful cathedral for a bretzel was most welcome also. The tour began at Mirabellplatz and headed straight into the Altstadt, the old town of the city where vehicles are banned. We parked our bikes in front of several recognisable movie locations including the Pferdeschwemme, where Maria and the children skip by singing “My favourite things” and the Felsenreitschule, now an open air theatre but in the movie where the Von Trapps perform on stage before their daring escape. Residenzplatz with its beautiful fountain, the backdrop for “I have confidence”, was also a backdrop for one of several group photos which Elise took as a memento of our tour. It’s a thoughtful touch, and a bonus souvenir once downloaded from Facebook. Some stops aren’t actually in the movie; the quaint cemetery at Sankt Peter’s abbey provided the inspiration for a set which was recreated in a Hollywood studio. 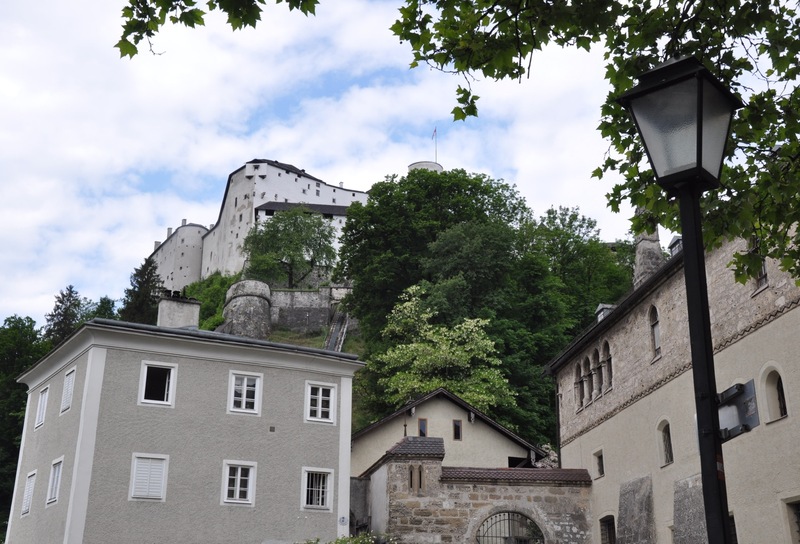 Climbing up past the funicular to the hilltop fortress, we had some splendid views of Salzburg’s imposing fortress, its many churches and the mountains beyond. At the Nonnberg, not only did we see a nun at the nunnery where Maria decides she’s not suited to the job, but we also saw the dodgy weld in its gate, the result of the film crew needing to film through a gap too small for the camera. 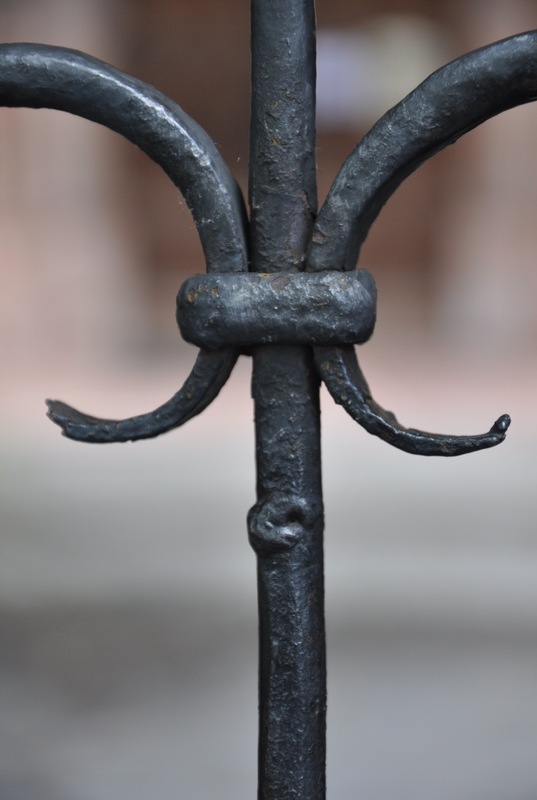 It’s details like these that made me glad I was on a tour – I’d never have noticed it on my own. Freewheeling downhill was a blast, and as we cut across the cycle path out of town, Elise put the soundtrack on and unleashed a whole tour group full of Maria-wannabes, some more in tune than others. We made for the Leopoldskron Palace and lake. It’s where Maria falls into the lake and where the film crew discovered to their horror that the young actress playing Gretel couldn’t swim. Fortunately, none of us fell in but we did play along for a photo. With the music blaring and the breeze in my hair, this was my favourite part of the tour. As we belted out Lonely Goatherd, several passing walkers gave us a cheer and a round of applause, thoroughly deserved of course! 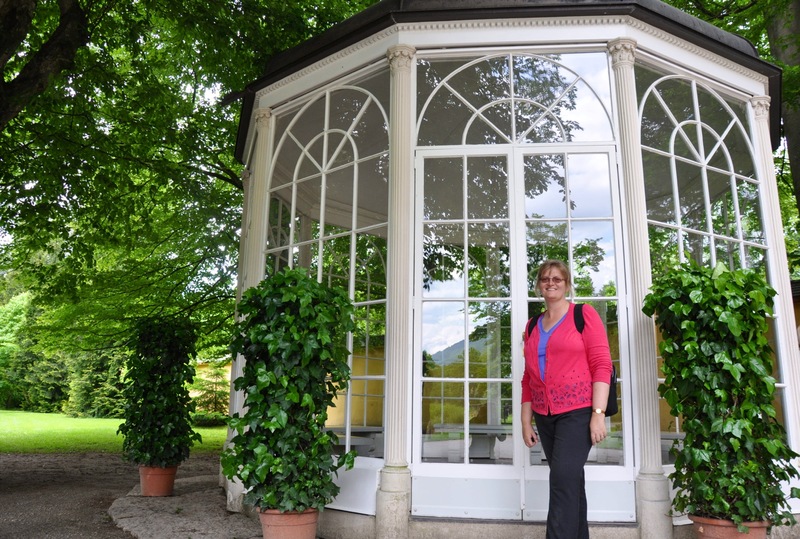 Stopping at Frohnburg Palace, where Captain Von Trapp tears down the Nazi flag, there was plenty of time for more photos before a flat ride to Schloss Hellbrunn. Our stop there wasn’t for the fountains (though it’s an easy bus ride back) but instead for the gazebo where Liesl sings “I am sixteen going on seventeen”. Elise told us that during filming, the actress playing Liesl slipped off the marble benches and twisted her ankle. 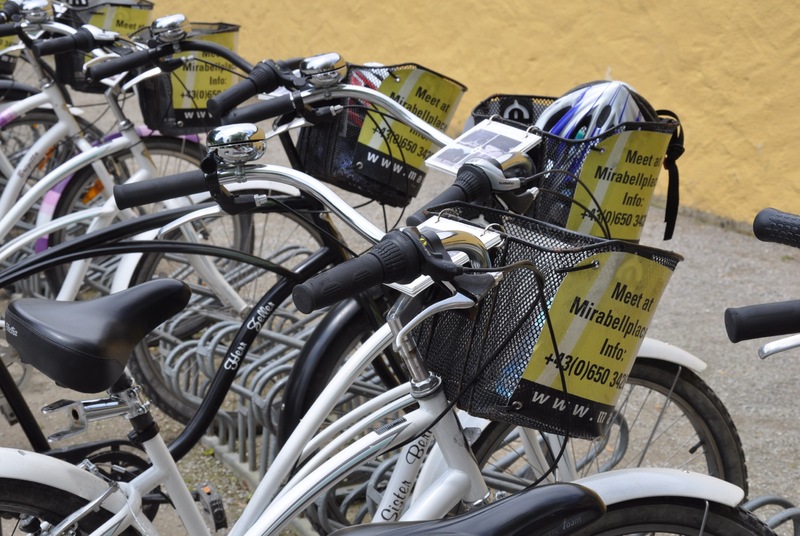 To book Rupert’s Fräulein Maria’s Cycling Tour, visit his website at http://www.mariasbicycletours.com. 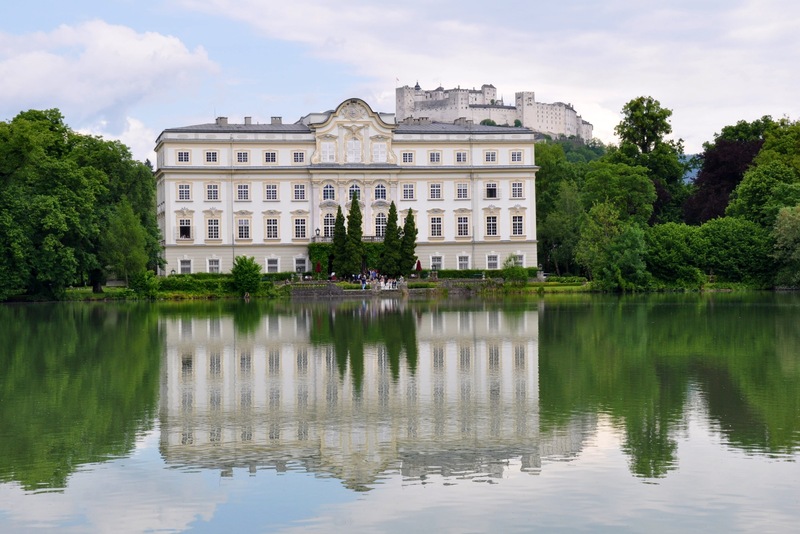 The tour costs 30 Euros, which is a bargain given how much ground you’ll cover and what a fantastic introduction it is to the city of Salzburg. This entry was posted on June 5, 2015 by juliamhammond. 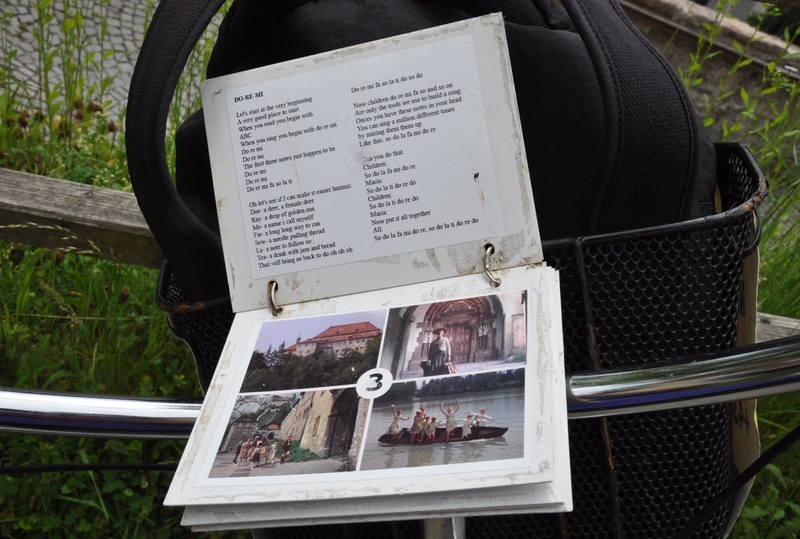 It was filed under Destination information, Europe, Travel guides and was tagged with Fraulein Maria's Cycling Tours, Salzburg, Sound of Music.